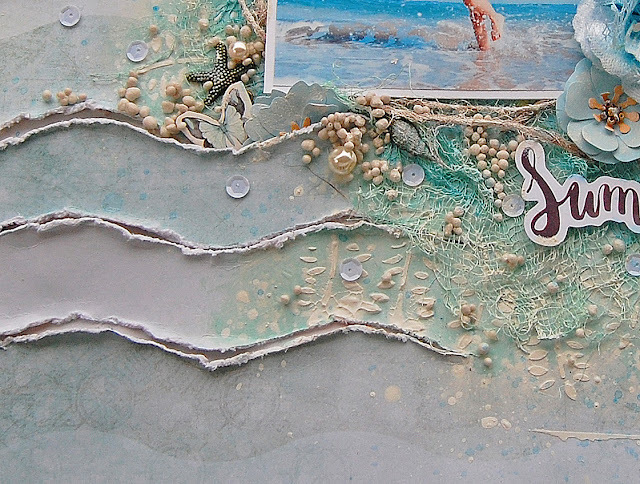 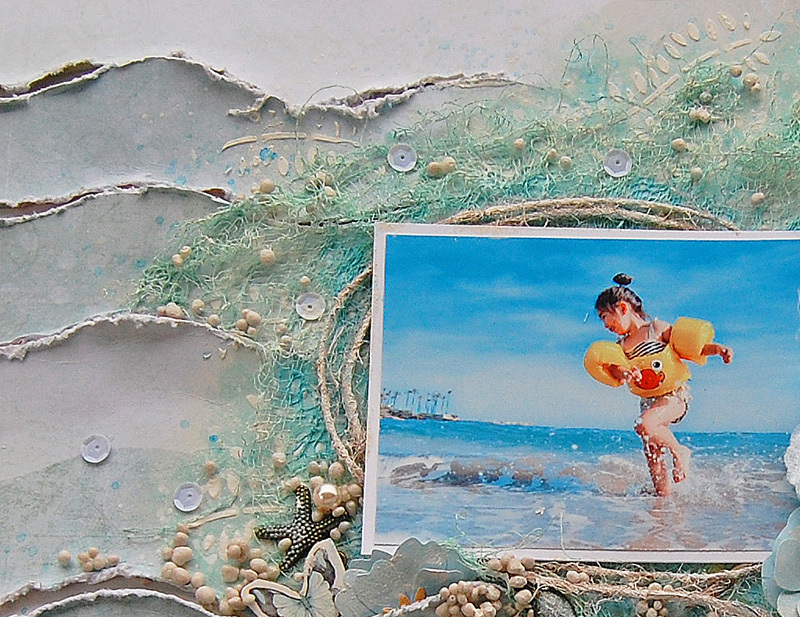 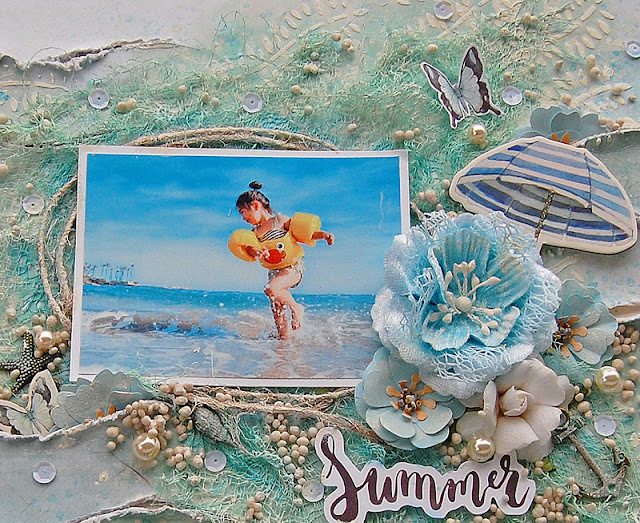 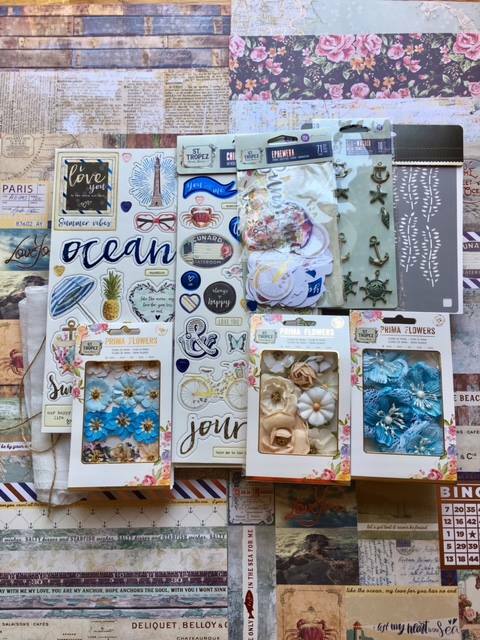 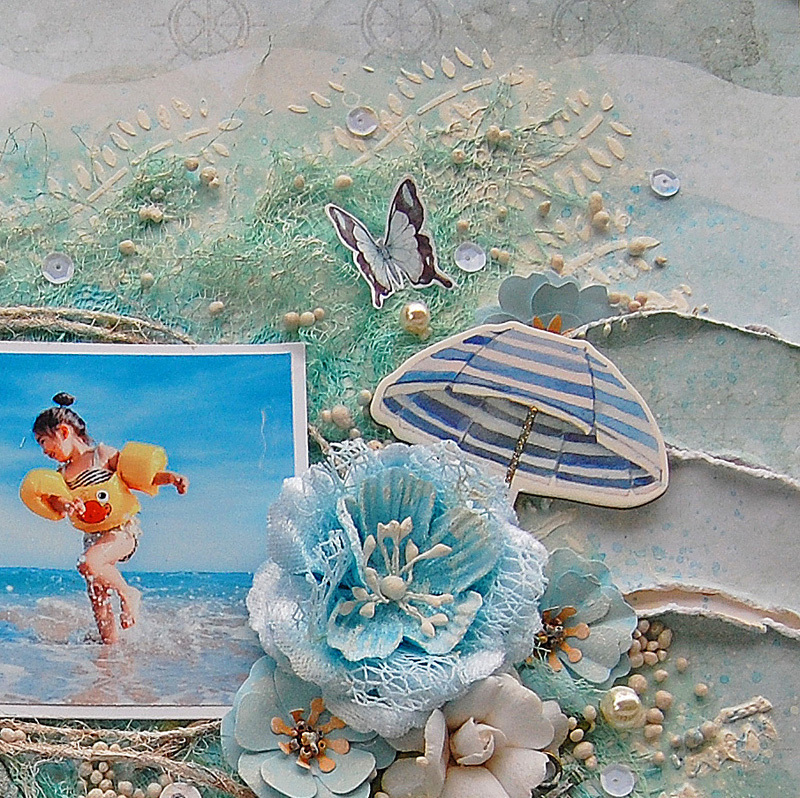 Treasuring Memories: Summer Layout and Video Tutorial! 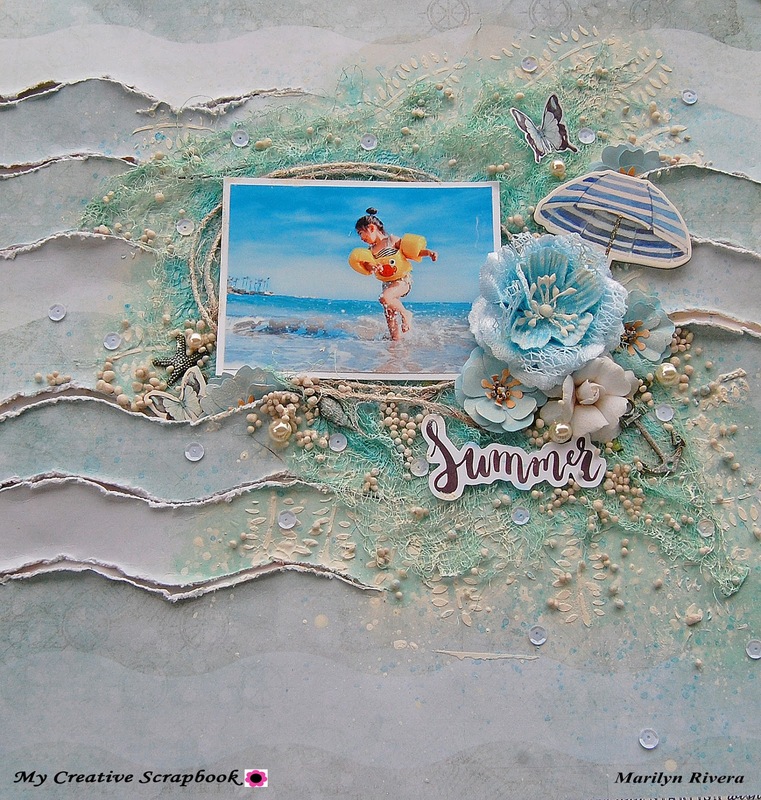 I created a dimensional effect with the waves pattern on the paper from the ST. Tropez collection by Prima Marketing . I'm not going to explain you all the process because I made the video tutorial that you can watch at the end of the post. I added the different elements from the kit in this page to enhance the pretty and fun photo from Unsplash. 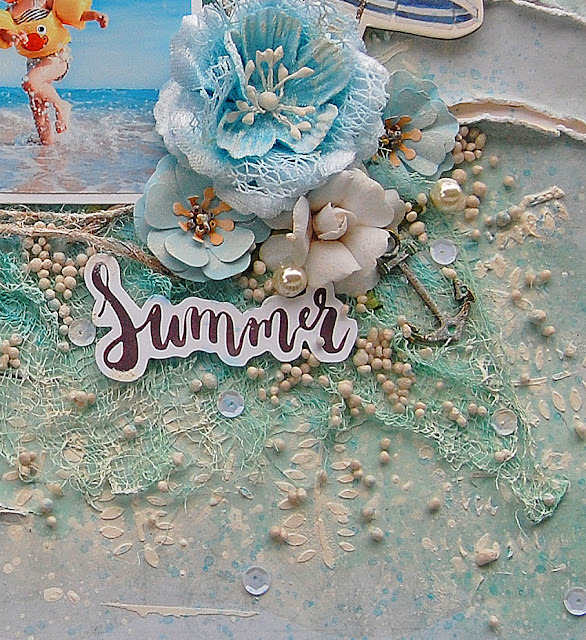 I added textures with the Prima stencil's kit and modeling paste. 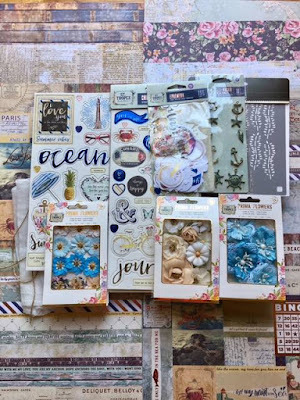 You get three different packages of Prima flowers in the kit.